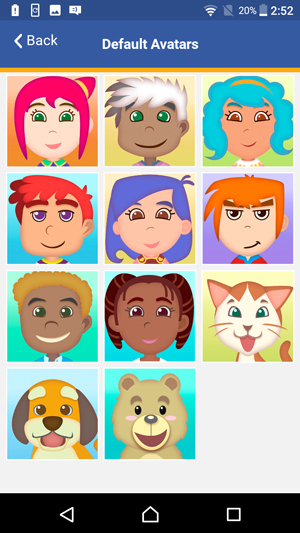 To update your child's profile, first select "Children" from the top menu bar of the KidiConnect™ smartphone app. 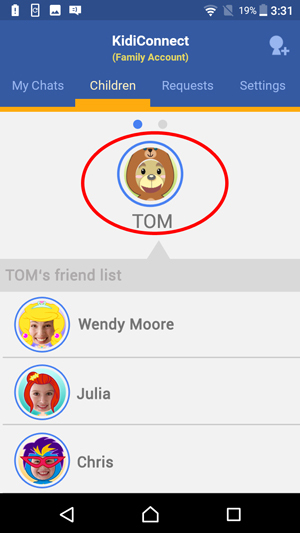 If you have more than one child in your family account, swipe left or right over the child's avatar to select a child. Then touch the child's avatar to view their profile details. Note: The Children tab is only visible if you are logged in to the family account. This will open the "Edit Profile" page. Touch the pencil icon if you want to edit your child's name. 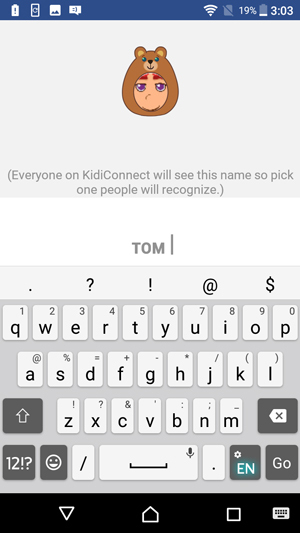 Use the onscreen keyboard to edit your child's name. To make it easier for others to recognize your child, we recommend using a name that people will be familiar with. 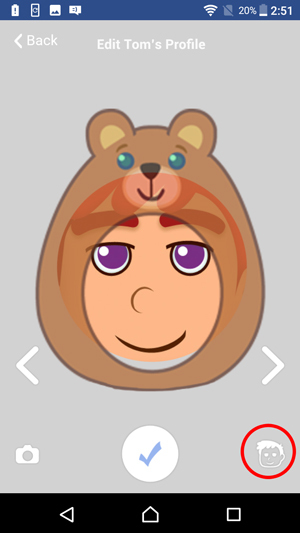 If you want to edit your child's profile image, touch the camera icon. Touch the left and right arrows to change your child's costume. 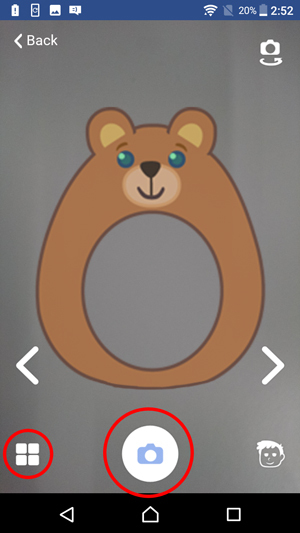 If you want to use a photo in your child's profile, touch the camera icon. Touch the shutter icon to take a photo or touch the album icon to choose a photo from your album. If you prefer to use one of the default avatar selections, touch the avatar icon. Then touch an avatar to choose it. 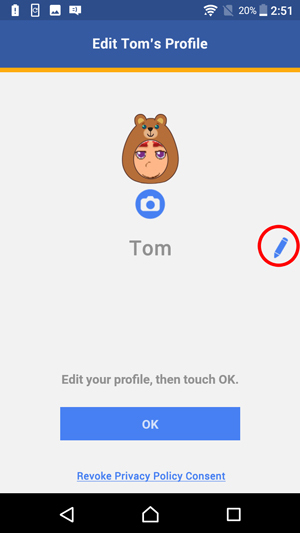 Once you're satisfied with your child's profile, touch "OK" to exit.